We don’t just want to tell you how different our approach is – we really want you to experience it! We get really involved with your website, understanding your business and nailing down exactly what you need your website to do for your business. We are a team of innovative, creative and resourceful professionals, focused on providing a quality service at a price that doesn’t break your budget. 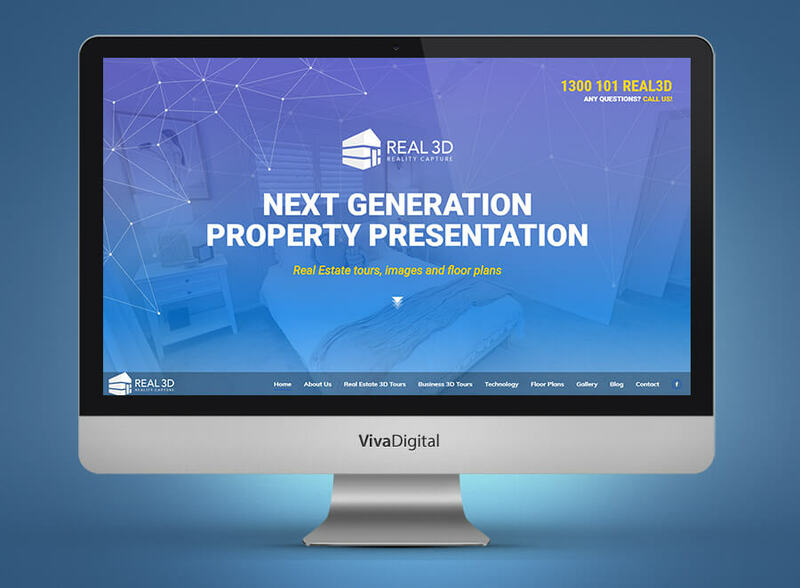 We develop feature rich, engaging websites that work seamlessly on desktop, tablet or smartphone. Your website should have clear conversion goals, such as a newsletter sign up, Facebook ‘Like’ or a purchase in the online store. Our unique, targeted approach ensures that you see real results with increased enquiries and sales. During your website build you will have a dedicated project manager to walk you through the process and help you put a strategy in place for growing your business online. All our websites are built to be found easily on Google and Bing for your chosen search terms. All our websites come fully responsive for mobile and tablet devices. We adhere to the latest W3C web standards to ensure full accessibility. We are confident you will love our promise to always over-deliver and provide value for money. We will always ensure your website is linked to your social media channels and visitors can easily share your website. We utilise WordPress as our CMS. The system is very user-friendly, which will empower you to keep your website fresh – which Google loves. Your website will work for you by reaching new people and increasing your revenue. You will always find us friendly, approachable and ready to listen. Why not check out or Project Portfolio and Testimonials, both are both bursting with happy people. Send us a Quick Brief and we’ll arrange a free consultation over the phone or in-person. Alternatively, please call us on 1800 99 39 69. My website went live – now what? Which is best PPC or SEO? Are you receiving SEO Spam? I am so grateful I met Paul who has taken over looking looking after my website and technical aspects. He is very professional, knowledgable and quick to respond. He has given me some great tips and tools to enhance my business and always got back to me quickly. It's wonderful to have piece of mind that my website is in great hands. I can highly recommend Paul for all your website and related work. Hands down Paul is a genius when it comes to web site designs, search engine optimization and Google ad words. 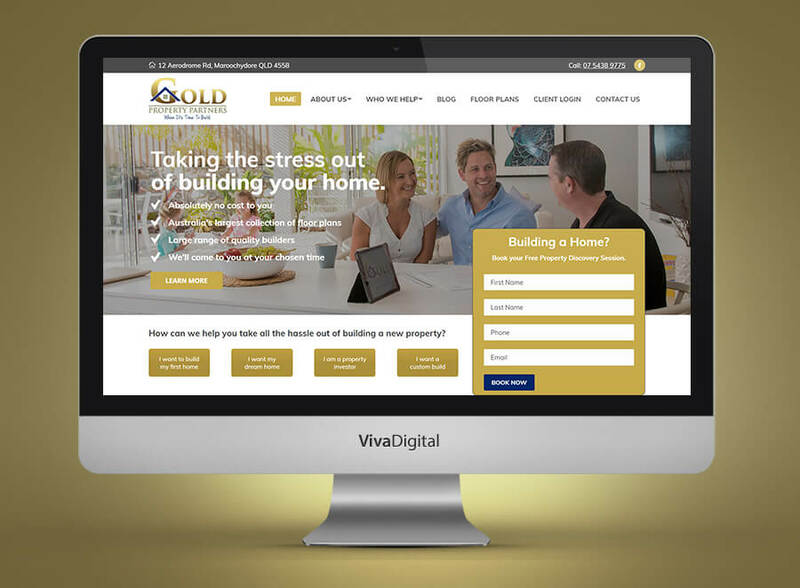 Accord could not be happier with the web site as it looks amazing and is now giving the Sunshine Coast locals the opportunity to find us easily and show /educate the potential customer about what we do and more importantly, just how good we are simply by looking through the web site. We consider the web site to be a investment now. This said, I would highly recommend Paul and the team Viva Digital. Through a recommendation from another Business, Paul and his team of experts from Viva Digital exceeded my expectations in Web Design for my Floral Business "Pink Poppy Florist". This is my first experience regarding a total website revamp, (going in with no knowledge), Paul took over and totally put a awesome package together with very impressive & user friendly results. I highly recommend Paul's web services, I have been working with Paul for a couple of years and he has done some great web design work for me, which really helped me articulate and present my business, and establish a professional online presence which improved the quality of my leads. I always recommend Viva Digital when asked for a tip on the best website and design company I know. Great service, easy to work with and very high quality work at reasonable prices. Words are not enough. But Paul's process is very clear. Paul has a big focus in listening to my business needs, clearly defining who my customers are and which keywords we need to use to reach them. The way he thinks is always a boost in my business. Very good analysis and designing skills. His skills and dedication towards the project he has taken cant be compared. Highly recommended. Paul has been very strong in functionality and making my website work. Has been on page 1 google with most search criteria (without paying for SEO) big tick ! He also follows up on issues as fast as he possibly can. He is the framework man with great suggestions to get things working I'm more the idea's / creative that Paul has to work with! Paul created this great DL as part of marketing, and never missing an opportunity........!!! Paul has been an incredible help with my website. He made it easier to make the correct decisions with a hassle free attitude. There is someone out there who knows how to work out what you need. His name is Smith....PAUL Smith.. I struggled for years to find high quality web design, Paul Smith & Viva Digital have been a special example of great service and design. I have been in business over 30 years and Paul is the best. Myself, Chris Mennell and Masterclass Driver Training would always recommend Paul Smith and Viva Digital and would like to thank them for all their hard work and achieving such great web results for us. Cheers. Paul at Viva Digital takes the time to listen to our requirements. We appreciate that there is no hard sell he is more than happy to work with our budget and offers great advice. Work is completed on time and we are fully informed. Highly recommend them. 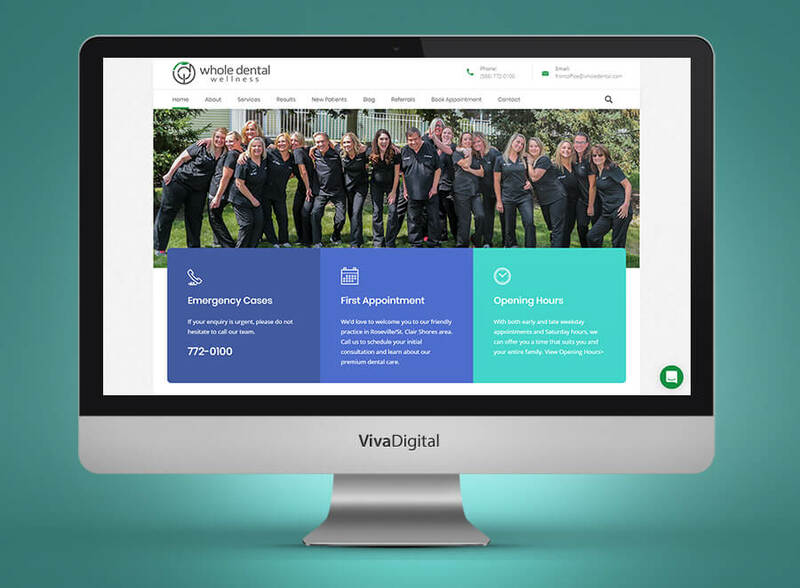 I highly recommend Paul and the team at Viva Digital for website design and function services. He communicates well so that I know what I'm getting and why. He is also very good value for what he provides. I have referred Paul on several occasions as I trust his ability to deliver the goods every time. Paul Smith is my "go-to web guru", very knowledgable, super helpful and has helped me out BIG time with my websites and social media. Thank you so much Paul, you make all the hard tech stuff easy! We have worked with Paul for the last 2 years and cannot recommend his services more. For the un-technical people wanting branding, web design and online marketing, Paul from Viva Digital has a patient, thoughtful and clear approach to meeting your needs. He has been able to talk us though any technical question we have had, and his work is fast and reliable. I highly recommend Paul and Viva Digital for any digital/website needs. Celebrant Toni Collett JP Qual. 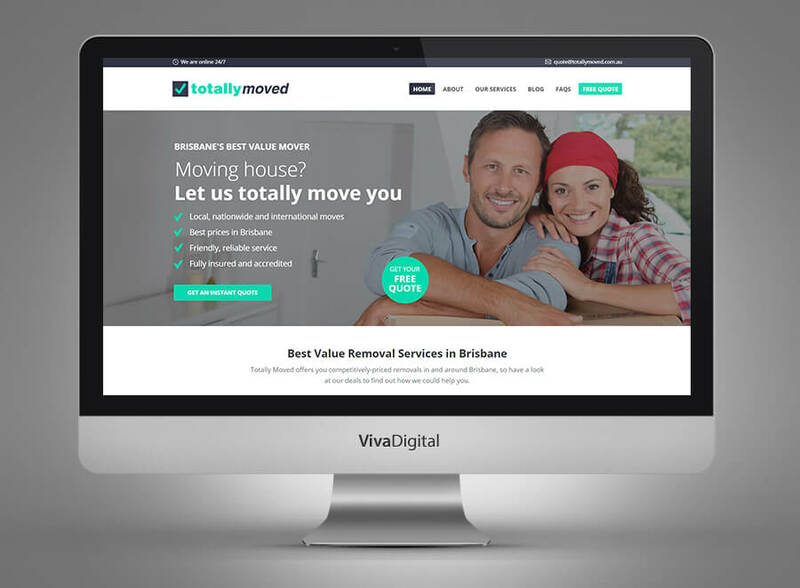 Highly recommend Paul and the team at Viva Digital for website design and services. He is always happy to explain everything so that I know what I'm getting and why. I have referred Paul on a few occasions and will continue to do so as I trust his ability to provide excellent service and is true to his word ..
Viva Digital is Fantastic, working with Paul was such a positive experience and he made the process of redesigning our website a breeze. He was so helpful with getting our emails sorted and working and the process was very timely. A huge benefit was the response rate, Paul was always quick to respond to my quires and changes and help me out when I needed him! --- Defiantly recommend Viva Digital!!! Paul does amazing work. He set up a fantastic website on our behalf with such a short turnaround time and did it so well. We are still using Paul for ongoing work and he always actions things so quickly for us. I would highly recommend this business. Clark's Garage has been absolutely thrilled with the work that Viva Digital has put into creating our new website. They put an enormous amount of work in behind the scenes with the SEO side of development and we have already noticed a big difference in our business with more and more enquiries coming in than ever before. We have also been exceedingly grateful that Viva Digital has continued to monitor our websites progress long after the bill has been finalised. We will continue to recommend Viva Digital to other businesses, as we have been very happy with everything they have done. Paul has done a fantastic job on our new website we have a lot of people saying when they come into our shop that they have come in because of our web site . Thanks to Pauls great web site design and ongoing help our business is seeing the benefits. Thanks Paul for all your help definitely 5 star service highiy recommend. We have used Paul to redesign our rebranded health care clinic. Paul was helpful and innovative, and helped design and implement some great changes. We did all this work from interstate, and the standard of service we received was excellent. Paul was professional and attentive, our process was easy and efficient. Would definitely recommend Paul! I am absolutely delighted with the brilliant service and results that my business receives from Viva Digital. Just wish I had found them sooner! Paul has been a tremendous mentor in helping me get a website up and running for my new business. He listened to my requests and creatively guided me to get the best look and feel, whilst also offering sound and expert advice to enhance the practicality of my website. Paul used his wealth of past experience to offer huge amounts of technical strategies to help my website run smoothly for myself and my customers. Paul has given also taught me how to independently maintain my website which has given me a lot of confidence moving forward. I can highly recommend Paul, his patience, professionalism and expertise is second to none. I'm very grateful for the excellent website he has constructed for my new business, thank you Paul! Paul is next level! I was referred to him by a mutual colleague and he has now developed 2 websites for me and my businesses. Fitting to my schedule with a 'Nothing is an issue' attitude has made my life infinitely easier. I continue to work with Paul because he gets me results. Legend. Paul at Viva Digital has been incredibly patient, helpful and efficient in getting two websites up and running for our small businesses. We definitely wouldn't have been able to grow, maintain and expand our customer base and sales without him. Can't recommend him highly enough all website design, branding, SEO and online marketing needs. I have dealt with a number of different web designers in the past and Paul definitely stands out as the most helpful and most responsive. Paul takes the time to understand your needs and deliver the best outcome. Our firm is very happy with his service and delivery. I highly recommend Paul from wherever you live. VivaDigital is my go to for anything SEO and has provided first class web solutions for me and my company for years now. I wouldn't go anywhere else. Friendly service, quick turn around and highly skilled. I recommend VivaDigital to everyone in my network. Always a pleasure to deal with, friendly and polite with clear communication and fabulous results! Wouldn’t hesitate to recommend him! Paul and his team have been extremely helpful and diligent. Always forward thinking. I cannot recommend Viva Digital highly enough. We are extremely happy with the team have created for us. Love Paul's work! He is incredibly easy to work with, super fast response time and always happy to help not matter your skill level. 10/10 would recommend! Paul is Fabulous. Super knowledgeable and an absolute pleasure to work with. I would not have ANY hesitation recommending him to anyone. Paul is great to work with a wealth of knowledge and makes a real difference to your businesses bottom line. Would highly recommend. I would like to leave a 5 star review even though I have not used there services. I recently contacted Viva Digital with questions about my current site, although this was something they could not help with, Paul's customer service went above and beyond. He answered my questions and put me in-touch with someone that could help. So I would just like to say a huge thank you for taking the time out to help me and in future I know who to contact first. What can I say about Paul and the Viva Digital Team? After trying numerous other digital providers, this was like reaching an oasis after being in the desert. Paul knows his stuff, he is efficient, friendly and I really felt his concern and care for our individual situation. There is nothing more I could ask for and I can thankfully now say I have ended the search for a reliable long-term partner for all our digital marketing needs! It's such a relief to have found a digital/social/development/paid search/design/everything agency on the coast that is run by someone with fantastic communication, integrity, openess and true technical ability (not just big words and no results). I have engaged several agencies previously who sound great on paper and talk themselves up in person to get your work, then don't deliver on results, deadlines or technical ability. Paul (the owner of Viva) outsources various specialities like SEO and paid search to the best in the industry but remains your first point of contact and keeps you updated on progress, results, costings and delivery deadlines. It's a pleasure working with Viva and due to the transparency of his way of working, projects usually come in cheaper than quoted and the results are better than promised. A breath of fresh air! Paul has spent the time to patiently listen to my many requirements. He has worked with me through the entire process to bring my company into the online social media arena. I would highly recommend his services and support. 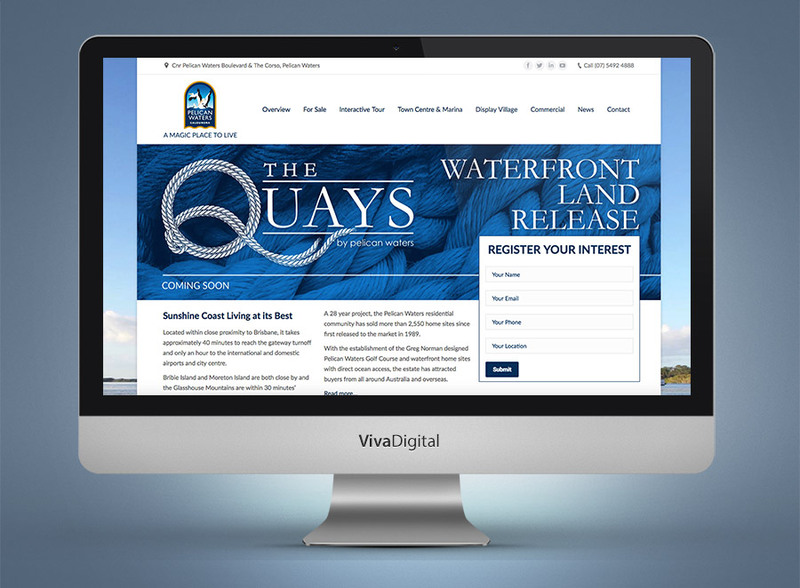 New website for Pelican Waters, a magnificent waterfront community on the Sunshine Coast. 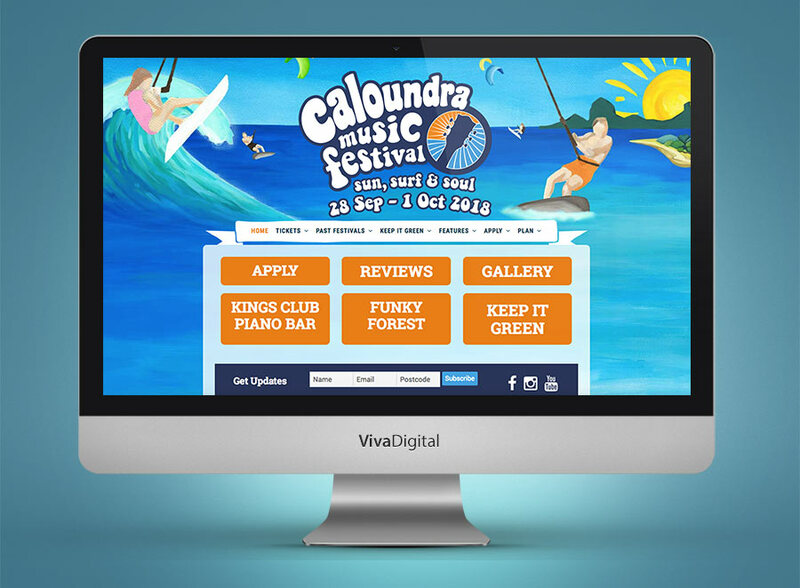 Website re-skin for Caloundra Music Festival. For the third year we re-skinned the website using this amazing artwork.